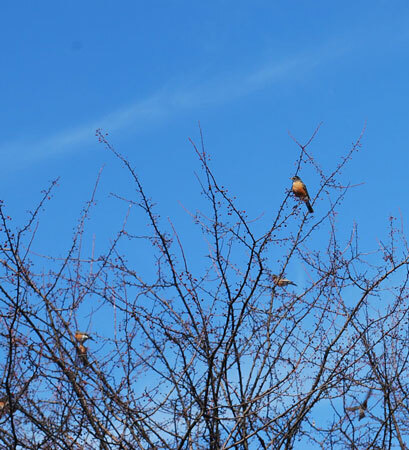 These robins were flitting in the tree outside my back door today. Like them, I’m wondering where spring is and if we’re really going to have another snow day this week. This entry was posted in About and tagged photo, robins, season, spring by Susan. Bookmark the permalink.